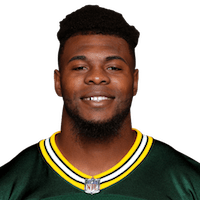 Analysis: After being picked in the seventh round by the Packers in the 2017 NFL Draft, Mays suited up for eight games last season, gaining just one yard on four carries. He was released with an injury settlement before this campaign began and spent time on the Browns' practice squad. Mays will look for a depth spot in Cleveland's backfield, but he won't command many touches behind Nick Chubb and Duke Johnson. 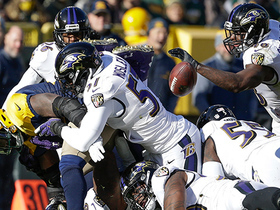 Green Bay Packers running back Devante Mays fumbles and the Baltimore Ravens recover.